Payoneer is a financial services business that provides online money transfer and e-commerce payment services. Payoneer is a registered Member Service Provider (MSP) of MasterCard worldwide. The company is headquartered in New York City. Payoneer provides cross-border wire transfers, online payments, and refillable debit card service for businesses and working professionals. Payoneer account holders have the option to receive funds into their local bank account or e-wallet, or via a re-loadable prepaid debit card, which is issued through MasterCard and can be used at ATMs or at the point-of-purchase. The cards have been used by New York Hospital to pay clinical trial participants. Payoneer is available for more than 100 currencies in 200 countries. They allow you to pay a bunch of people online. Think companies like iStock, Eleance, 99 designs, AirBNB that need to pay their freelancers/contractors. 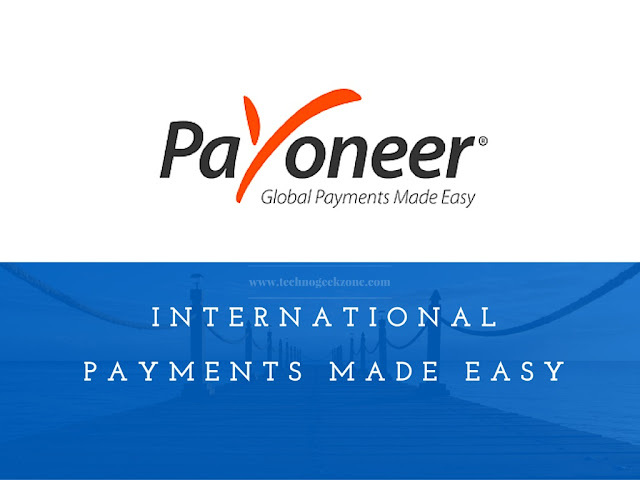 The draw of the Payoneer service is that these companies can pay lots of people internationally for apparently no cost. You can get US and EUR collection bank accounts (even if you’re not in those countries) so that you can get paid as if you lived in them. It’s also the second part of the equation to the global mass payments solution, since payment receivers will need a Payoneer account to collect their funds. At a quick glance, the solution seems great. Payoneer provides you with a virtual US (US account and routing number) and/or EUR (European BIC and IBAN number) account, so that you can get paid as if you were a local. You can withdraw the funds via a Mastercard debit card or to your local bank. It’s also supposed to be more affordable than PayPal. The easiest and cheapest way to receive funds is from another Payoneer account holder. They can send a transfer to you near instantly and for free (funds are available within 2 hours of initiating the transfer). It works just like sending PayPal funds between friends (free and instant as well). There are limits on the amount you can transfer, however (minimum of $20, maximum of $1,000). These limits seem rather low to me, and would cause some friction if used as a tool to transfer money in all but the smallest of businesses. The second way is to get a payment via the US or EU Payment service (SEPA). I’ll just describe the US Payment process here. If you’ve ever paid someone via ACH (US direct deposit or US bank transfer), well, it’s the same thing. Payoneer gives you some bank credentials and you pass that along to the business that wants to pay you. Automated Clearing House (ACH) is an electronic network for financial transactions in the United States. ACH processes large volumes of credit and debit transactions in batches. ACH credit transfers include direct deposit, payroll and vendor payments. Getting paid via the US Payment Service (ACH) costs 1%, while via the EU Payment Service (SEPA) it is free. Why Payoneer proved to be a lucky charm for me? No doubt that many peoples use Paypal as their payment partner but due to some limitations here in my country India on Paypal I preferred using Payoneer to get my first income of $50 from RevenueHits because of many boundations. Basically for the approval of Paypal here in India we need to have a PAN Card which will be used for the verification of the users. But being a student I failed to get a PAN Card so I was tensed on how to get my payment. This was the time to try some other means and finally approached to Payoneer which ultimately worked great for me. I was much happy with their services which they provided me without charging any fee for the conversion of money. So, Finally I am totally satisfied with the service of Payoneer and I think that you should also give a try to this service.